READY TO WEAR VINTAGE - OUR ITEMS ARE PROFESSIONALLY CLEANED BY SPECIALISTS. READY TO WEAR WHEN THEY ARRIVE. WRAPPED SO THEY DO NOT WRINKLE...THIS IS UNLIKE ANY EXPERIENCE YOU HAVE HAD IN THE PAST BUYING VINTAGE CLOTHING. 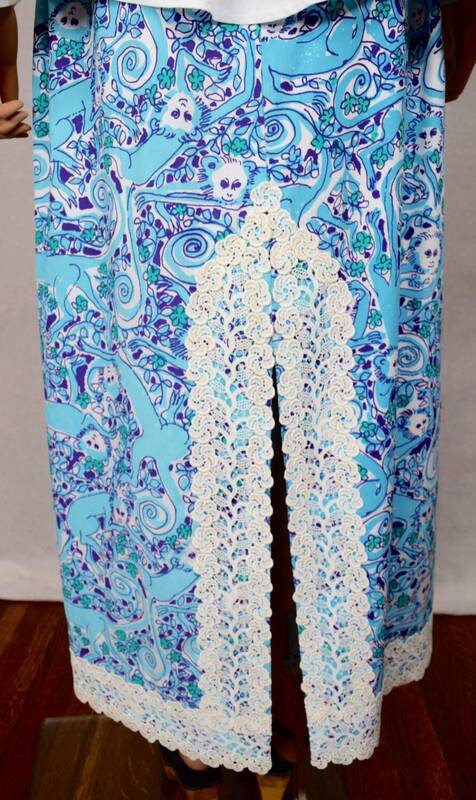 Lilly Pulitzer was sold in high end department stores and had her own expensive boutiques back in the 60's / 70's. Her brand is still around today and sold for a lot of $, but cannot compare to her vintage garments. Purple and blue monkey pattern. Such a rare animal pattern that I haven't seen before. 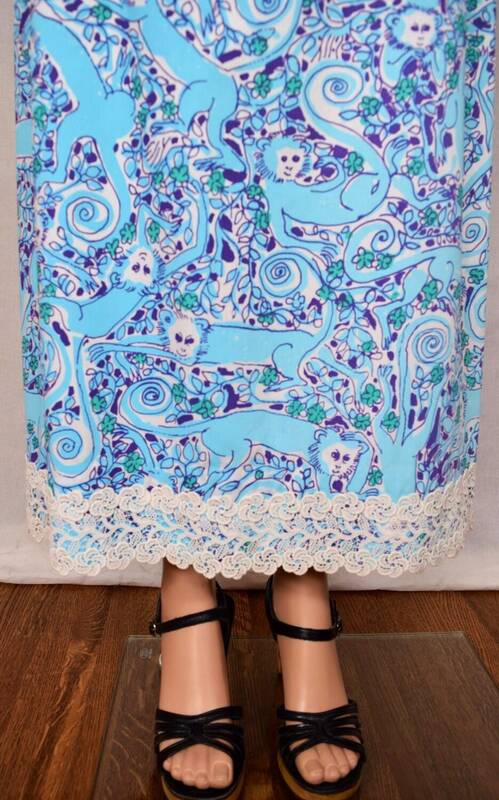 Says "Lilly" in the pattern too! 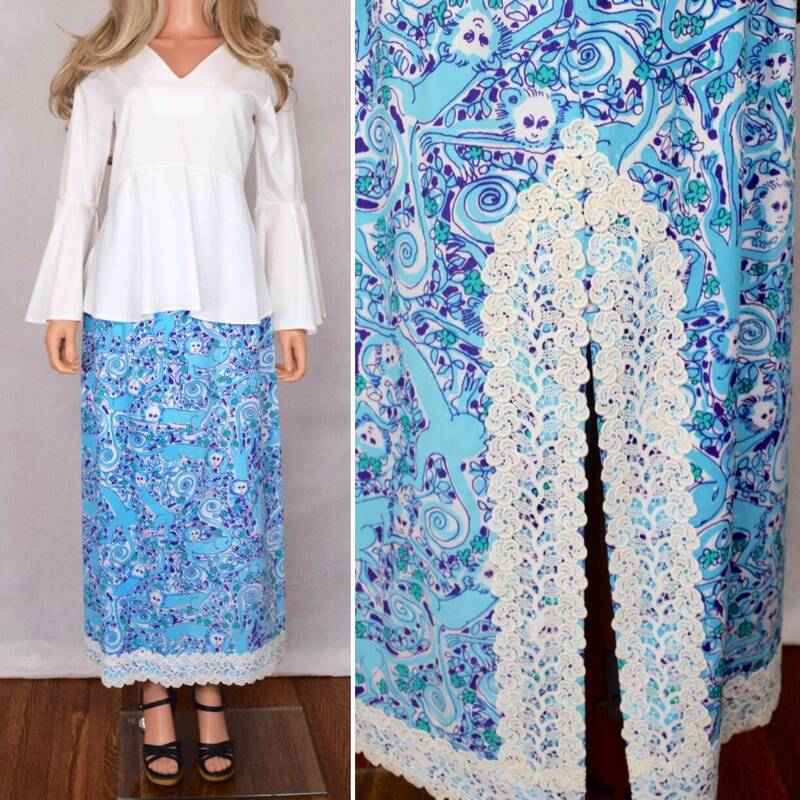 Really cool crocheted cotton lace trim on the hem and back slit. Zippers up in the back. Condition: Excellent vintage condition and was extensively cleaned to get the yellowing out of the lace. Professionally cleaned by expensive eco friendly non toxic vintage clothing experts. Turn out beautiful! Tag is missing but pattern is signed throughout and this is the style of skirt she used to sell in the 60's / 70's. It is fully lined with an old metal zipper and fabric is signed througout the pattern. 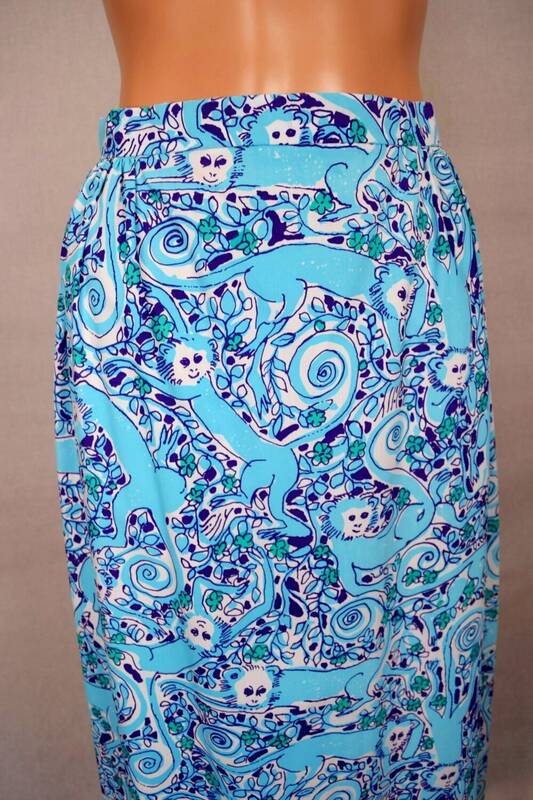 Check my shop for more Vintage Lilly.